In case you, like me, are late to your holiday shopping, I’m passing along a few suggestions of books to buy for the businesspeople in your life. Top of the list is Bad Blood, by John Carreyrou, which is destined to become one of the classics of narrative business journalism. You’ll want to read it now before it becomes a movie and Jennifer Lawrence forever replaces Elizabeth Holmes in your mind’s eye. I’ve been told Billion Dollar Whale is also an epic tale of business gone bad, but haven’t gotten to it yet. New Power by Jeremy Heimans and Henry Timms is worth reading, and giving, as a smart dissection of how social media and the networking of everyone has changed the dynamics of power in our society. Anyone trying to lead a large organization needs to understand those dynamics. And then there are the A.I. books, which provide a window into what will become the most important business development of the next generation. If you are interested in the long view – what happens to the world when machines are smarter than people – Max Tegmark’s Life 3.0 provides a provocative view. Closer to the present, Pedro Domingos’ The Master Algorithm is a smart take and Paul Daugherty and James Wilson’s Human + Machine offers an interesting look at how the workforce will be affected. As for management books, my top recommendation is John Doerr’s Measure What Matters. 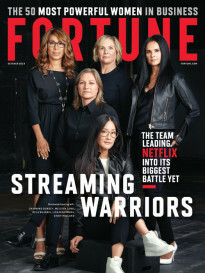 We’ve adopted it as the working guide for the executive team of the new Fortune, which will be spinning out from Meredith in the next couple of days. Stay tuned for more on that. News below. And give CEO Daily to your friends for Christmas. They can sign up here. Japanese telecom giant SoftBank completed the second-largest initial public offering ever, raising $23.6 billion Wednesday, about 90% from individual investors. Unfortunately for those investors, the share price dropped 14.5% by the end of the first day over fears of a looming price war and against a backdrop of global stock market declines. Bloomberg. Pharmaceutical firms GlaxoSmithKline and Pfizer are merging their consumer health units, with a combined value of $12.7 billion, and plan to spin off the new joint venture within three years. The remaining parent companies will be focused on riskier but more rewarding prescription drugs. Wall Street Journal. Facebook CEO Mark Zuckerberg has lost about $19 billion in net worth this year, as the company he founded has weathered scandal after stock-draining scandal. That puts him ahead of Spanish billionaire Amancio Ortega, who lost $15 billion this year, and Alibaba chairman Jack Ma, who only lost about $9 billion. Fox Business. Charter Communications, which acquired Time Warner Cable in 2016 and re-branded it as Spectrum Cable, will refund $62.5 million directly to customers and provide them with an addition $110 million in services in a record settlement with the State of New York over failing to meet promised bandwidth speeds. New York Times. The standard bearer of liberal democracy and bogeyman to conspiracy theorists of the far right, George Soros, is the Financial Times‘ person of the year. Financial Times. The U.K. government released a long-awaited white paper establishing its post-Brexit immigration policy toward European citizens. The government will propose a consultation on whether European migrants will have to earn at least £30,000 ($38,000), like non-Europeans. Bloomberg. Singapore’s central bank extended a 10-year prohibition on working in securities to a lifetime ban for former Goldman Sachs banker Tim Leissner, who has admitted to charges in the Malaysian 1MDB case. CNBC. Federal judge Emmet G. Sullivan spent part of a sentencing hearing for former White House security advisor Michael Flynn expressing his disgust and disdain for Flynn’s lies to the FBI. The judge postponed Flynn’s sentencing to March so that Flynn could further cooperate with investigators. New York Times. This edition of CEO Daily was edited by Lucas Laursen. 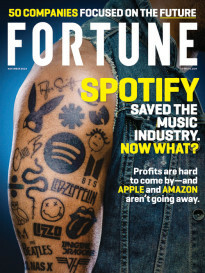 Find previous editions here, and sign up for other Fortune newsletters here.